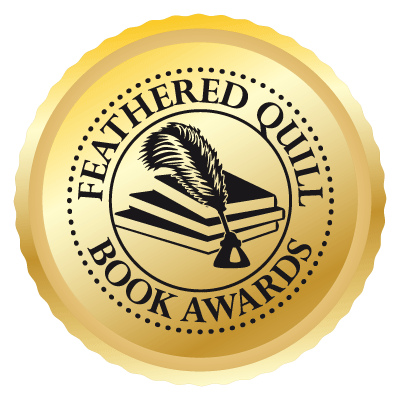 Today, Feathered Quill reviewer Diane Lunsford is talking with Clint Goodwin, author of Leather to Steel. FQ: Let me start out by saying thank you for your honor toward our country and your service. There is something to the tone and voice in your writing that projects a healing quality to it. How has writing helped you in your life after service? GOODWIN: Post-war Iraq presented difficult adjustments for me, as it was for thousands of my brothers and sisters who served. The VA doctors—with good intentions— offered all the drugs needed. I declined. I chose to confront and not to ignore the haze. Writing for me is that drug. 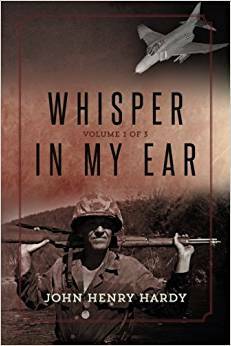 I needed a healthy outlet to better manage my anxiety, anger, and frustration attributed to combat service in Iraq. Since my return to the states, literary projects provide safe opportunities to overlay unwanted emotions onto my book’s fictitious characters. Writing my books helps me permanently record my perspectives and feelings about war, post-war challenges, and self-reconciliation. FQ: There is tremendous depth to your writing in that it seems you leave no stone unturned as the story evolves. How long did it take you to write Leather to Steel? GOODWIN: I labored over two years performing aggressive research, fact-finding, and recalling childhood memories of my parents; whose young lives survived the Great Depression. Their familial guidance served as realistic behavior exemplars—for me— to ensure Leather to Steel human characters were true to the era. FQ: I’m sure there have been countless hours of fact-checking, writing endnotes and simply keeping all the characters straight. How many editorial passes do you go through before you are confident the book is ready for print? GOODWIN: Never enough. I focus on the story lines. What is most important to me is ensure characters are realistic, storyline flows and most important to me; the story is historically accurate. With that said, I honestly need to give more time for independent editing. Once I finish a manuscript, I am already thinking about how the next book in the series ends. I am afraid to go back a re-read my own galleys. For good reason. I fear reliving feelings purposely left between the four corners of each page. I am working on that. FQ: In line with the questions above, was there a time (or were there times) when you had to step away from the story before you could continue? If so, how would you get back on track? GOODWIN: Yes. There are several times I have had to stop writing. Every book gives me cause to step away to breath, and in some cases, cry. In Mine Eyes… I describe a battle scene where horse character—Lucky—witnesses the violent death of fellow horse. The emotions superimposed on the primary character were based upon my own combat experiences: sights, smells, sounds, and fear. In Comanche’s Wars, I wrote a scene recreating another heartbreak; one I personally drew upon to establish a mournful dialogue between two horses. I had to summon unwanted emotions to create real and painful words to define my characters’ interactions. Though therapeutic for me, those words often translate to tears while I type. Leather to Steel was no different. Unwanted emptions superimposed over characters whose existence depended on others. In each of those situations, I took deep cleansing breaths, for I must reengage to finish dialogues representing for me, a coming-to-terms phenomenon - relief. FQ: Knowing there are more installments to come with this series, how much ‘downtime’ do you allow yourself between transitioning from one story to the next? GOODWIN: Great question. There is no particulate schedule driving me to write. However, writing is like living in a movie one starts, or stops when the imagination becomes dormant. You don’t want the movie to end. When that feeling overwhelms my senses, I start writing again. I suppose on average, I have taken a couple of weeks off—between books—to reflect on my characters’ journeys. FQ: In my writing experiences, I find it is a very cathartic process. When I read your work, this seems to resonate as well with you. Are there times when you are getting too close to a ‘healing moment’ when you need to step away? How does that affect the tone when you sit back down to the project at hand? GOODWIN: Writing is healing. Projecting my personal, innermost feelings onto a fictional character releases the truth. The raw anxiety, fears, and hurt are projected onto imaginary horses whose disposition can handle the truth without burdening real human beings. The healing moment occurs when the raw truth is buried on paper and not in my heart. FQ: I am a huge fan of how each of your stories casts a bright and wonderful light on the horse. You ‘corral’ the beauty and essence of their spirit which leads me to believe you have spent a fair amount of time not only ‘in the saddle’, but around the barn as well. Tell me about your equestrian experience. GOODWIN: I was born and raised in Cowtown USA—the great state of Texas. In my younger days, horses were “only” working animals. They had a job to do: cutting cattle. I also used them to compete in rodeos. In Texas, football, baseball, and other sports took a backseat to rodeoing. Our slang used to describe my kind – Goat Ropers. I was a Goat Roper. Why? We practiced roping goats to prepare for rodeo competitions. When you learn to rope a goat; you can rope a sideways steer. As far as horse riding style. Using today’s modern language, I rode pure western. In my time cowboys did not call chaps, chaps. We called them leg’ns. We did not call cows, cows. We called the heifers, bulls, or steers. Now, fast forward to the 80s, I did use an English saddle (once) to break a green quarter horse. The horse was broke, and I was bent. Never again. I have earned my spurs: kicked, bit, and thrown. FQ: The honor and admiration toward our men and women in service is inherently important to me. I applaud you for the consistent honor you pay to our servicemen and women (and horses) in all your work. What is the most important message you would like to impart on our men and women in service and why? GOODWIN: Their military service made a positive difference for those who could not protect themselves. My brothers and sisters’ lives added up to something greater than all of us. They will never be forgotten. FQ: Clearly, your stories have a resounding patriotic theme. What does our flag’s significance mean to you? GOODWIN: Freedom, suffering, selflessness, determination, resilience, joy, and hope. FQ: In closing, I thank you for your time and congratulate you on your well-deserved 2017 Feathered Quill Gold Award for Leather to Steel. This is a truly phenomenal read and I cannot wait to read the next installment in this series. Are you able to give us a sneak peek at what’s coming off your future press? GOODWIN: I would be glad to do so. My fourth installment—War-to-War: The Last Cavalry Horse continues the lives of beloved characters who survived the Great War. Their maturation is linked to historic events years leading up to and during to the Second World War. Specifically, the last U.S. Army cavalry charge is addressed. My research for the book has been very rewarding. I am honored to have communications with a surviving widow; her husband led a mounted charge against a Japanese stronghold in the Philippines. She has provided me insights to her husband’s—and his horse’s—brave and honorable service to our great Nation. Jonathan Givens’ bold conception mixes dance and nature in a photographic phantasmagoria. 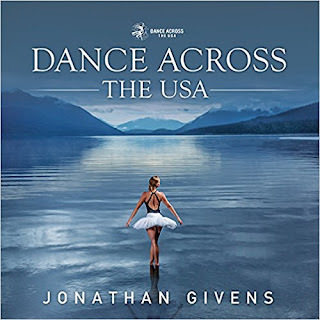 Former dancer, now professional photographer, Givens decided to pay homage to America’s national park system in its centennial year by driving the length and breadth of the lower 48 states (and flying to Alaska and Hawaii), taking artistic photographs of dancers posing in the midst of the sometimes stark, sometimes gentle, sometimes grand and spectacular natural panoramas of 56 parks. Outfitting his van, Mighty Buford, and setting a goal of 12 hours of driving each day, Givens set out, but not before having screened 3,000 applications from wannabe participants. He selected 163 of them for the honor of being showcased in this large, vividly colorful coffee-table offering. The trek took 90 days. Givens stresses that all the pictures are real, from figures flying over the ocean waves, or stretching bravely over the edge of rock outcroppings, to pirouetting on incoming tides. Givens has a chatty amusing prose style, so the reader feels a kinship with him from the outset of his challenging journey. He has arranged the book’s chapters by state and park, with a map of the route. The odyssey of DATUSA (Givens’ shorthand for the project) begins in Florida at the Biscayne Bay Aquatic Resort where 16-year-old Taylor Richie soars like a bird over ocean depths; and ends in Georgia at the Cumberland Island National Seashore where 11-year-old Arianna Gavrilas skips airily along the shoreline on day 90. A four-months pregnant Becky Erickson, age 33, poses gracefully over waterfalls at Montana’s Glacier National Park; one of the few male dancers, teenager Gabe Needle, plays daring young man flying over the sands of Assateague Island National Seashore in Maryland; and 56-year-old Heidi Lee Hart in a grass skirt appears to be worshipping a gnarled, windswept tree in Hawaii Volcanoes National Park. Givens states that all photos were taken using the simplest techniques possible, and though the dancers sometimes look like they are surely going to fly over a cliff or plunge into the sea, he assures readers that no dangerous chances were taken. Looking at the resulting artwork, readers will begin compiling a national parks bucket list, while admiring the dancing dedication of the participants who range in age from 3 to 74. The book is gift-able and would make an excellent choice for a young person considering how to use his or her artistic or acrobatic gifts, or simply needing role models for success in any aspect of life. 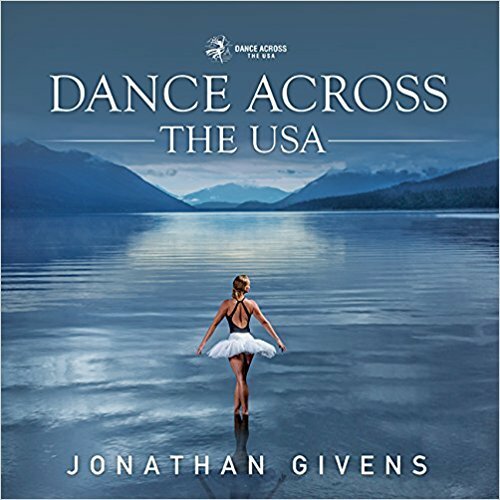 Givens believes that dancing embodies the rewards that come from hard work and attention to detail, and the book shows that at every level, from his intrepid trek and photographic skill to the grace and grit of his subjects. And let us not forget the contribution of Mother Nature, who created the magnificent settings. 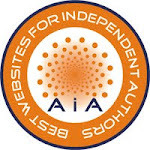 Quill says: This is a fascinating mix of media - a deserved tribute to America’s preservation of natural wild land and a showcase for a remarkable group of agile artists. In this futuristic apocalyptic world, author Mark Daniel Siler creates a place that expands the imagination, with adventure that reminded me of Lord of the Rings. The fight to save humanity is spread over years of struggle, loss, and heartache, but the main characters Simone and Mavin will defy all odds hoping to save the remaining people of the world. When Mavin was a young boy growing up in New Mexico, he never thought that simple plant seeds would be so incredibly important. Now, in a world that is constantly being hammered by severe weather from ice storms to hurricanes, it has become vital to protect the world's food source. After taking advice from his college mentor, Mavin makes the decision to work for a plant at the northernmost part of the world that works in developing ways to keep these seeds viable for future generations. In the last few months, Mavin could not help but feel that his superiors had been hiding something important from their employees, but whenever questioned they would quickly change the subject. One morning when Mavin shows up to work and no one is there, he knows something must have gone terribly wrong. His fears are amplified when he realizes the plant has locked down and he is not able to manually open any doors. He is trapped with no way to communicate with the outside world, and as days turn to months his dread is heightened even more. Without any knowledge of how much time has passed, Mavin goes into a deep depression until one day a group of women amazingly get into the plant. These women tell Marvin they have a mission to retrieve seeds from this place and take them back to their city to help feed their starving population. Even though Mavin knows exactly the seeds they are talking about he is weary of these unusual strangers, as they seem to be intelligent but also have no knowledge of modern science. As they travel together with the seeds in tow, Mavin becomes more aware that the world he knew once is gone. How will he find his place in this new world that seems to be intent on keeping him detained? For in this new world women run the country, while men and their opinions are given little to no respect at all. This book was an absolutely wonderful read, and even with all of the books out now with an apocalyptic theme, this book still kept my interest. I thought it was fascinating that the author took the characters through an adventure that took place over years and years, which is why this story reminded me a little bit of Lord of the Rings. Just the sheer long and epic story that these courageous characters went through was amazing, and had me hooked from the first page. 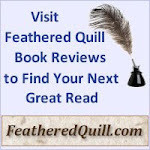 Quill says: An incredibly original story of epic proportions! Thanks to Readers.com for sharing this Infographic! Entertainment writer Geoffrey Mark has constructed the thoroughly engrossing story of Ella Jane Fitzgerald, who rose from poverty to become one of the iconic singers of the 20th, or any, century. As depicted by Mark, Fitzgerald was a product of a common law marriage and abused by a stepfather as a teen; she hung out on the streets of a multi-ethnic neighborhood on weeknights and sang in church on Sundays. She loved to dance, convinced that hoofing was her destiny. At 16 she entered a music contest, planning to dance, panicked when her name was called and sang a song instead, resulting in an encore and first prize -- $25. Through connections from that first performance, she met swing bandleader Chick Webb and began to tour with him. Three years later, Fitzgerald was voted Number 1 Female Vocalist in readers’ polls from Downbeat and Melody Maker, beating out Billie Holiday Bailey (Mark notes that her male counterpart in the polls was Bing Crosby). There’s hardly a page of Mark’s behind-the-scenes bio that does not record some innovation, award or distinction garnered by The First Lady of Song. Yet she was rather shy, admired for her dignified bearing as well as her vocal gifts. She ascended to worldwide acclaim as a black woman in an industry dominated by white men. With the help and push of manager and close friend Norman Grantz, she stayed in the limelight well into her twilight. The book, which the author freely acknowledges is an unauthorized biography, focuses primarily on Fitzgerald’s public life, but with many personal glimpses. She was married and divorced twice, and with her second husband adopted a son whose life Mark characterizes as rather lonely since his mother was so often away. She gave generously to charities, was a civil rights activist, and in her last few years enjoyed staying at home, regaling famous and family visitors with tales of her past -- despite failing sight, hearing and serious health complications. Mark felt drawn to this project after seeing Fitzgerald perform and learning that there was very little in print about her. He writes in a conversational style that suits his subject, dispelling rumors about Fitzgerald and noting her thousands of professional accomplishments. In producing his comprehensive chronicle, he received invaluable input from a number of key players in the saga: Val Valentin, Joe Pass, Dinah Shore. This large photo-rich offering celebrates Fitzgerald’s centennial, with a Deluxe Edition available that includes a 2-CD set of Ella’s recordings. 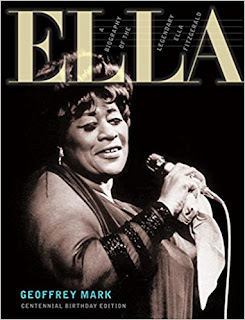 Quill says: Ella Fitzgerald fans and those just discovering her musical talents will find this book a treasure - lengthy bio, discography and hundreds of amazing anecdotes about the Queen of Jazz. Today, Feathered Quill reviewer Amy Lignor is talking with Deborah Stevenson, author of Oy, Elephants! as well as the book's illustrator Morgan Spicer. FQ: Both of you have a strong love for animals and are true animal advocates. Can you tell readers a little bit about your particular ‘loves’ and perhaps any organizations you wish to talk about that benefit animals? STEVENSON: On my kindergarten report card, my teacher wrote: "I think Debbie should have a pet. She loves animals so much." So I think my connection with animals was hard-wired and early onset. Actually, Grandma Gussie's character in Oy, Elephants! is based on my real grandma. 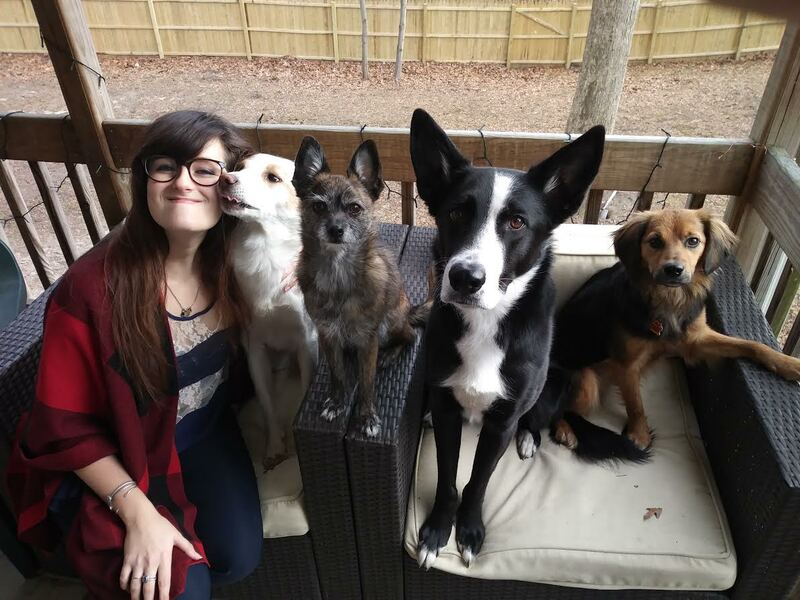 She adored animals and was always taking in strays, rehabilitating and releasing neighborhood squirrels and injured birds, and she always had dogs. She would have loved the Helfands! She was most definitely a strong influence in my life in general, and in my love and respect for animals specifically. I have always had a particular affinity for dogs, and have been fortunate to share my home and my life with many over the years. I enjoy training and competing with them in the sport of dog agility, which they enjoy as much (maybe more) than I do. Agility, for me, is a like a beautiful dance that showcases the miraculous partnership that is possible between dogs and humans. And of course as dogs go, none was quite as dear to me as Soren, the incredible little French Bulldog who was the subject of my first book, Soaring Soren. I love all animals, but aside from dogs, I do have a little thing for elephants and confess that I'm a long-time collector of elephant knick knacks. I also love rhinos, and I am extremely concerned about the effects of poaching and encroachment on the future of both those species. For each book, I try to support a related charity. For Soaring Soren, that charity is French Bulldog Village. It's a wonderful group that rescues, rehabilitates and re-homes French Bulldogs in need, and they don't just take the easy to place cases. They take senior dogs, dogs with medical and behavioral issues. It's an often-expensive labor of love and they do great work. 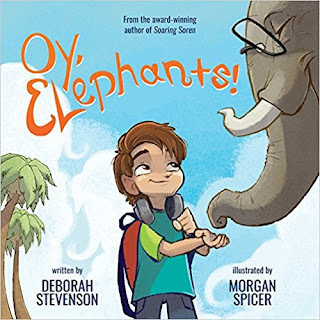 For Oy, Elephants! and another upcoming book, I've chosen some charities that help fight against poaching and ivory trade. One lovely organization is David Sheldrick Wildlife Trust. They rescue young elephants, rhinos and other animals who are orphaned, often due to poaching, care for them, rehabilitate them and acclimate them to return to the wild. In addition to general donations, you can foster one or more of these youngsters and get regular updates on their progress. It's both educational and rewarding, and honestly, just fascinating--a great gift and activity to share with a child. International Rhino Foundation has a similar foster program and works hard to educate the public about rhinos and protect them and their habitats. SPICER: I struggled with my love for animals for most of my life. I called it a curse, "cursed with compassion." We live in a world where animals are not treated well. I felt I could not find a place for myself or my art growing up. My love for animals, and respect for their right to a cruelty-free life, made me feel separated from my own family and most of my friends. The best way for me to express my love for animals, with my artistic talent, was with dogs as the subject to start out my career after college. Everyone loves dogs, right! That was something we could almost all agree upon--they were a safe, but fun subject for the majority of my books. My small business, Bark Point Studio was founded in 2012, and since that time I have created thousands of pet 'caricatures,' now called illustrations, with a percentage of a lot of those commissions going to local and national 501(c)3 animal rescue groups. Since making the decision a few years ago to embrace a vegan life, my struggle to love animals has no longer been a struggle or curse. I can love them, embrace them, respect them and draw them without the feeling of hypocrisy or of helplessness. I now feel I express my love for animals with each meal, every day, and not just with my professional career choices. I would love to mention Farm Sanctuary, an amazing non-profit. I would also love to mention just two of the breed-specific rescues I love to work with, Poodle Rescue of Vermont and Oldies But Goodies Cocker Spaniel Rescue. Another great one, Foster Dogs, Inc. which started in NYC but has since grown. FQ: How did you first meet up with one another? SPICER: Through my small business Bark Point Studio. I started the business because I was determined to make a career as a freelance artist. I had been doing pet portraits my entire life, with the best experiences having been at the Monmouth County SPCA dog walk fundraiser. My mom, who is a small business owner and philanthropist, was always pushing me to use my art to benefit others. One year, I donated all my profits which only amounted to a few hundred dollars, but I must have drawn about 50 dogs that day as they sat in front of me at this wonderful fundraiser. I would say this experience enabled my career as an artist to get off the ground. So Bark Point Studio was the same idea, but at a much larger scale thanks in part to social media. People who commissioned art of their animal companions were encouraged to share them on social media, since my work is done digitally, this was quite easy for them. One share lead to another and Deborah had found my work. It was through this process that almost all of my author's of dog-related titles found me. 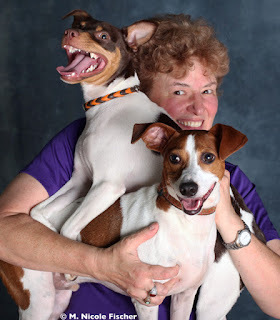 Deborah and I do share a love for animals, in particular, for our dogs. We work very well together, I feel as though the more feedback we give each other and the more we bounce ideas off of each other, the better both of our work becomes. It has always been easy for me to communicate with her throughout the process because we are so similar in our mutual respect for dogs and our understanding of the incredible role they can play in our lives, whether it's as an agility partner or simply as a best friend. I believe we have many more stories to tell together! STEVENSON: Our first meeting was quite accidental, and a real-life case of foreshadowing if I ever saw one. I saw a caricature of a friend's dog on social media, and it was wonderful. I thought, "I'd love to have one of those of Soren!" and so I asked my friend where she had gotten it. I contacted the artist, Morgan, of course, and asked her if she could do a caricature for me. She did, of Soren and one other of my dogs, and I loved them. A few years later, I went to contact Morgan again to have her draw my other dogs, and noticed on her Facebook page that she was illustrating a children's book. By then, I had a first draft of Soaring Soren written, so I sent it to Morgan and asked her if she might be willing to illustrate it. The rest, as they say, is history. Who knew back when Morgan drew her very first Soren, that she would become the subject matter expert one day. Whether it was chance or fate, I'll always be grateful that our paths crossed. I am not sure whether Morgan's talent or her heart is bigger, but they are truly inseparable, and they are what, together, make her work so powerful and unique. 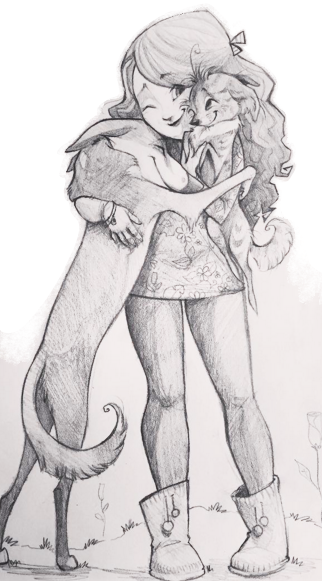 I also have always felt, since we first started working together, that our creativity is different, but meshes in a way that brings out the best in each other. I'm in awe of her ability to capture the soul of a character. I don't know if I am her biggest fan, but I have to be pretty high on the list. FQ: Deborah, is this love you have for animals what made you first want to pen a children’s book? STEVENSON: That's an interesting question. Animals are definitely the inspiration for much of my writing--both the stories and the characters. 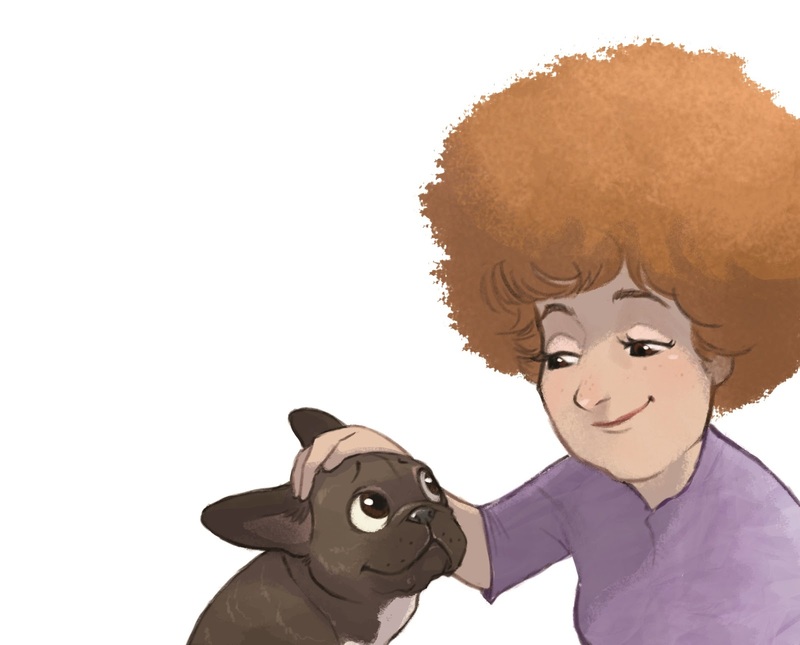 And undeniably, Soren's remarkable story, and my deep admiration for that little dog with such a huge heart and spirit, is what pushed me over the edge to finally bring a children's book to fruition. I loved his story, and I loved him. I wanted the inspiration he gave to so many throughout his life, to live on. He has such a powerful and important message for children and adults alike, and I was driven to share it. But I think beyond that, it is my love of reading that was the motivation. I was the weird kid that was always getting yelled at to "stop reading at the table," "stop reading while you walk--you'll kill yourself," "stop reading and go to bed--it's 3 A.M." And then I had my own child, and watching him fall in love with reading was maybe even more addictive. I think that is when I started thinking I'd love to write a children's book one day. I hoped to help children find their own love of reading. I would also like to share with them my love and respect for animals and nature, to make them laugh, and to encourage them to be kind, to themselves and to others, to dream big, to work hard for the things they want in life and to believe that anything is within their reach if they have the determination to pursue it. FQ: Deborah, will there be more books, with more incredible animals starring in the lead roles that readers can look forward to seeing soon? STEVENSON: I am going say that is highly likely. I've been working on one for while now that I hope will be out this year. It's on a rather serious animal conservation subject, but it also has adventure, humor, and some unique and special characters I hope children will relate to and love as much as I do. I won't let the cat any farther out of the bag, but I'm very excited about it. Beyond this next book, suffice it to say, I have more ideas than I have time, and I hope, eventually, I get to do them all. I think Soren may have a few more fun adventures and worthwhile messages to share at some point, as well. FQ: Morgan, you operate your own studio. Can you tell readers more about this? And what got you into the illustrating realm after graduating from Syracuse University? SPICER: I went to Syracuse for their incredible illustration program, which was invaluable to my success. Syracuse taught us not just about how to be a well-rounded and experienced artist, but also about the business aspect behind freelancing. To be honest, I never wanted to be an artist though, I wanted to be an ethologist, but very few schools on the East Coast have that program, I then wanted to be a Zoologist...Despite this uncertainty, thankfully I listened to my family who told me I was given my artistic talent for a reason, and to embrace it. I did, but the only way I was going to be an illustrator was if I could find a way to help animals and be their voice when I could. I did not seek out children's books. The projects came to me as a result of Bark Point Studio, which was founded with the purpose of being a starting point for my real goal--to have an animal and creative sanctuary for children and adults to come and see animals in a new light, in a positive, educational, kind and cruelty-free environment. FQ: Morgan, do you have any personal favorites when it comes to artists? FQ: If you had to choose one, is there a favorite children’s book that you hold dear to your heart, and why? STEVENSON: It's so difficult to choose just one, but since you said I "had to," I pick Charlotte's Web. It is such a marvelous, creative, touching story, and one character is just richer and better than the next. Ironically, I am petrified of spiders, but I can't think of a character I adore more than the ingenious, determined and devoted Charlotte. She is the friend we'd all love to have, and should all aspire to be. After all these years, my eyes still fill with tears when I think of her. As an author, I would dearly love to create some child's "Charlotte," that fifty years later, as she reflects on her favorite children's books, can still bring a tear to her eye. SPICER: I loved, and still love, Growltiger's Last Stand picture book by TS Eliot and Errol Le Cain. The book is about cats, which was always my favorite subject matter growing up in a house with three. Ironically, I have never done a book about a cat, despite that fact that I never liked dogs until I was a teenager. I felt bad that cats were always the bad guys, and dogs were always the good guys in media and animation and I hated it! This book makes cats feel so cool. Not to mention the art, which is amazing and edgy! FQ: Deborah, are there other genres you wish to dive into one day? STEVENSON: In general, I tend to love to try new things. Actually the book I am working on now is a new endeavor for me. It started as a picture book, but I decided the content was a little too heavy for that format, and that it was better suited to a chapter book. It's been an interesting transition and a wonderful learning experience. It has gone through many iterations at this point, and I have greatly enjoyed watching it evolve over time. 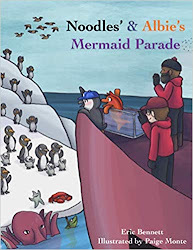 I still love doing picture books, but this format has allowed certain freedoms picture books do not--like being able to explore more complex plots and develop rich characters and relationships. I've fallen in love with these characters and their story, and I hope children will too. I also hope it will raise awareness about the very serious issue of poaching that has taken some species to the brink of extinction. I'd love to do more chapter books in the future. STEVENSON: Thanks so much to you and to everyone at Feathered Quill for all your hard work to support, recognize and promote authors and illustrators. 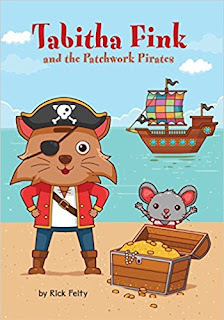 On her latest adventure, Tabitha Fink, the one-eyed cat, is about to set sail to search for buried treasure. She has a ship, with a flag she made, and a beautiful patchwork sail too. The best part is that her good friend, Bartholomew the mouse, will be her first mate. The pair look quite smart in their pirate outfits and they're ready to sail...almost. They have the clothes, they have a ship and a map to the buried treasure, but they need a crew! What will they do? Clint Goodwin hits it out of the park with his third installment of his outstanding war series of historical novels. 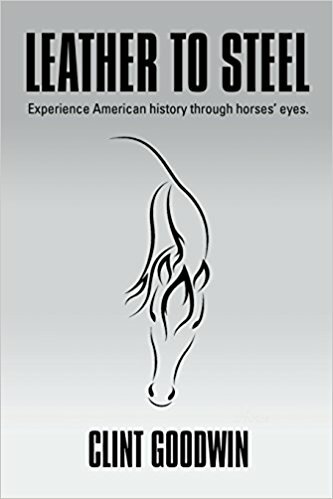 In Leather to Steel (the third book in his series), he treats his audience to a riveting account of the transition from ‘Leather to Steel’ in a phenomenal account of American history through the eyes of the horse at the onset of the Great War. Modern warfare was evolving before (and during) the Great War (WWI). Fortunately, during the modernization that would include steel U-boats, machine guns, tanks, flamethrowers, and much more, the mighty horse was still an integral part of the campaigns. The story opens with Peace, a black stallion full of pride and all too willing to share his account of the seven generations that make up his family legacy of courage, strength and the unquestionable spirit to live that is signature to the soul of a horse. Peace lays the foundation stepping from his six-generation sire (Stonewall) and his mare (Cinnamon) who were united in Southwest Texas during the Comanche Wars (Mr. Goodwin’s previous novel). Peace’s voice is immediately recognized given the heartfelt devotion he exudes in re-telling the stories of the great stallions and mares who have served our nation since the 19th century. Peace takes his time, side-stepping periodically to explain his breeding: ‘…a trace of a warmblood and thoroughbred breeds that defined my stature…’ He elaborates further on the roles his brothers and sisters in arms played as they served in the Third U.S. Infantry Regiment (Old Guard), Third Squad Caisson Platoon at the Fort Myer army base in Arlington, Virginia and delves into the intricacies of their pristine stables at this installation. As the story develops, Peace touches upon the generations of his family and the war machines they have pulled since 1861. He learned wisdom through his father Rusty’s legacy and the many war stories about his family’s military endeavors since the U.S. Civil War. With the vast array of service that transcended long before the Great War (Civil War and Comanche War), there is a comfort established between horse’s voice and reader’s attention where an indelible bond is formed within the first handful of pages. Peace is the horse to continue sharing the valor of his fallen comrades and it is inherently clear this magnificent animal was destined to tell this story. I have had the great joy and pleasure to read all of Mr. Goodwin’s work (Mine Eyes Have Seen the Glory, Comanche Wars and Leather to Steel) and stopping short of gushing, I commend this writer on his commitment and discipline in each installation when it comes to getting the facts down and getting them down correctly. In my opinion, there is a specific art to weaving the perfect ‘story’ together with factual and historical accounts. Mr. Goodwin is the poster child for getting it right. I also have (to a fault) an incredible love for the horse—truly a Godlike creature with insurmountable spirit and soul. Mr. Goodwin captures the essence of human emotion as much as that of the creature telling the story and it was not surprising I found myself often pausing during this read to reflect and wipe a tear (or two) before continuing. Mr. Goodwin has the gift of writing that comes deep from within and he has a natural ability to recognize his gift given the way he places his words page upon page. I look forward to the next installation in this series. My experience with this author’s work thus far is: it just keeps getting better and better. Well done Mr. Goodwin. May I please have another? 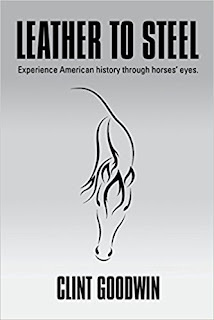 Quill Says: Leather to Steel is a beautiful depiction of the hardships and transitional time in how the wars of our fathers were fought as much as it is an homage to the gallant and spiritual horse. The year is 1918 and the place is Philadelphia. 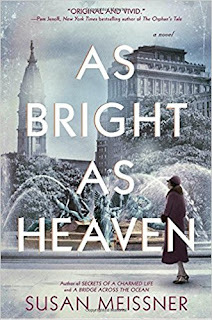 Susan Meissner delivers a compelling and bittersweet story in her latest novel, As Bright as Heaven. Thomas and Pauline Bright wanted nothing more than to give their three girls, Evelyn, Maggie and Willa a better life. After the tragic loss of their sweet baby boy, Henry, it was time for a new beginning. It was time to leave the tobacco farms of Quakertown behind and look toward the new future Fred, Thomas’ brother was offering. It would be a different life for the girls—trading tobacco curing barns for undertaking. Fred Bright has a successful burial business in Philadelphia and wants to turn it all over to his brother Thomas. Even though her beloved child Henry has died, Pauline resists the notion of moving. However, the more intimate she becomes with the notion of death and the unrelenting hold loss has on her, Pauline realizes she will never be able to bring Henry back. There is nothing left holding her to Quakertown other than her parents and extended family. It is not enough, and she has a revelation that it is time to put the sorrow behind her and focus on the beautiful children she has who are still alive and provide a future for them. The girls have their own reservations. Evelyn (Evie) being the oldest is their logical child. She must maintain a stiff upper lip and convince her younger siblings that life in Philadelphia will be grand. Maggie, on the other hand, is the free spirit. She sees life in a different light and cannot seem to grasp the concept of a better life than the one she already has. Aside from the loss of dear Henry, she believes things will get better. Willa, the baby, simply wants what all youngest siblings want: center stage and constant attention. Initially, the move from the rural likes of Quakertown to the city streets of Philadelphia are more than foreign and overwhelming. Uncle Fred, Thomas’ brother, never having married has strict designs on what a woman’s place is in the home and far be it for him to acquiesce even a notion of Pauline or the girls ever setting foot in the embalming salon. Time moves forward, and the Great War persists across the sea. When the epic pandemic of the Spanish Flu hits the city streets of Philadelphia and the surrounding communities, the Bright family is about to face greater challenges in their day-to-day battle with survival as their constant reminder of the unknown in the days that lie ahead. I was instantly captivated with this story. Ms. Meissner set the realities to paper of the pandemic tragedy of the Spanish Flu and assigned the horrors of the havoc it reaped on all its victims. The historical infusion she wove in and around the characters she created was fascinating. This may be a work of historical fiction, but her documentation of what happened to entire communities because of this illness breathed intense credibility throughout this story. 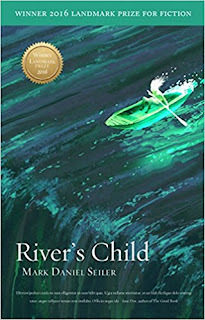 It is difficult to fathom the period in this novel is a mere 100 years ago; yet, Ms. Meissner has a wonderful ability to impart several layers of varied emotion for her audience to revel in with the turn of each page. My only regret in reading this novel is that point when I arrived at the last page. A true master of her art, she ties the entire story up into a neat bow at story’s end; leaving her audience with the anticipation of her next novel. Well done Ms. Meissner! I look forward to your next book. Quill Says: As Bright as Heaven reinforces the tenacity and power of hope and new beginnings. The title of this book is a bit of a misleader. It is not a biography of Lyndon Johnson, but rather the story of the men who worked with him to create the great society. LBJ expected absolute loyalty from his staff and these dedicated men worked twelve hours a day, six days a week, as well as a half day on Sundays. They believed their mission was to complete the programs initial started by Franklin Roosevelt. This is the story of men like Bill Moyers, Jack Valenti, Joe Califano, and Harry McPherson, and what they accomplished under LBJ's direction. 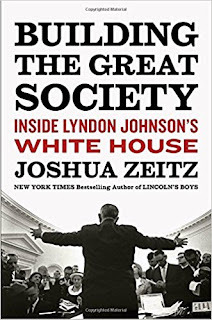 Building the Great Society does not include detailed descriptions of LBJ's legislative accomplishments, but rather focuses on how these programs were created, defended, and supported by politics and master politicians. Their first achievement was the head start program which provided early childhood education and medical, dental, and eye care for children of poor families. This program was the first one to provide federal funds to improve educational systems in the states. LBJ and his staff also created Medicare and Medicaid - in just one year. This was only possible because they based it on the existing health insurance system. In addition, they launched the food stamp program (SHAP) to feed poor children and adults, as well as launched public television and radio. Their toughest battle was getting public and private institutions desegregated in one third of the country. These men lived in a time when the economy was growing and expanding and believed this situation would continue forever. They did not foresee either runaway inflation or recessions. What is remarkable is how much they accomplished when so many resources had to be devoted to the Vietnam war. This book is full of historical detail, but, as mentioned above, the focus is not on the people who worked to create so many new programs, but rather on these new programs/institutions created during LBJ's tenure in the White House. Occasionally the author does give the reader a glimpse of the personality of one of the individual members of this group, but it really isn't enough to truly get to know these men. Unfortunately, there are no pictures included in the book of any of the people who made up this fascinating story. Images would have been a nice addition to place faces with the names so the reader could see them as real people. Quill says: Anyone who is interested in the political history of this period will find this book well worth reading.